Premium Italian Pasta Sauce is a superior quality, moderately to highly spiced product that is enhanced by the addition of carrot and garlic purees. In addition, diced tomatoes, diced onions, salt and olive oil are added to strengthen character and flavor. 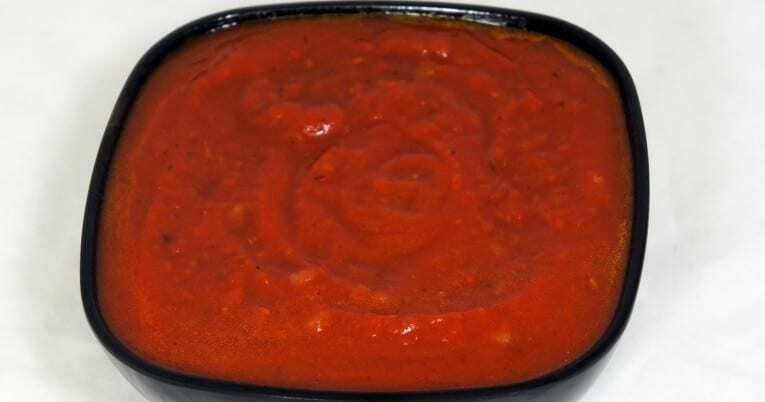 The puree and diced tomato components of this sauce are prepared from round and or pear tomatoes that have been washed and hand sorted for quality prior to their intended use. With the addition of carrot puree, the product has an orange/red color and is practically free from defects. The product is hot filled to ensure commercial sterility then cooled prior to stacking. Made from fresh California, vine ripened tomatoes, excellent flavor, ready to use. Superior quality. Sweet tomato flavor is enhanced by the addition of carrot & garlic purees.